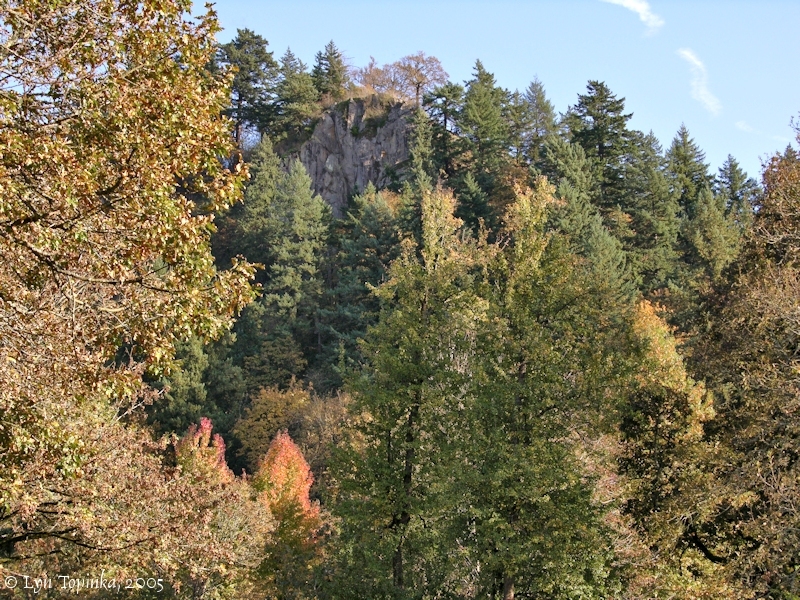 Click image to enlarge Fall colors, looking at Broughton Bluff, Lewis and Clark State Recreation Area, Sandy River, Oregon. 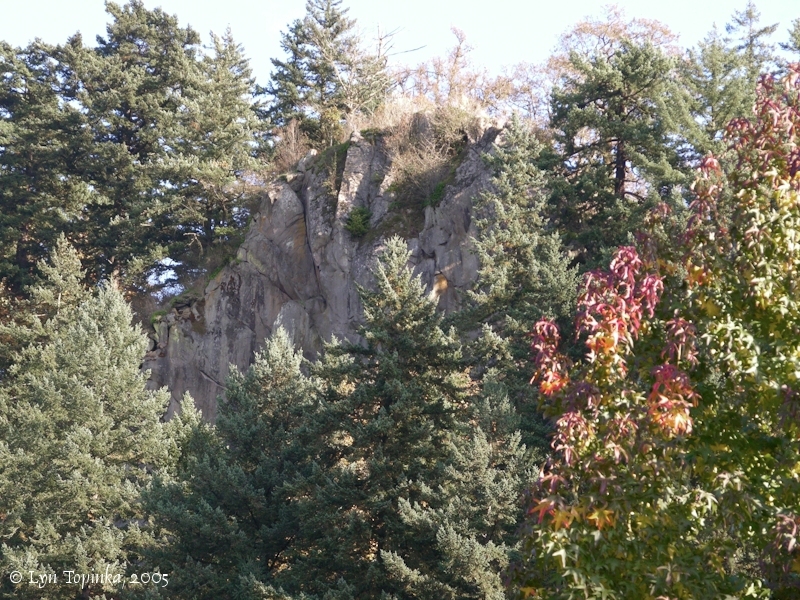 Image taken October 22, 2005. 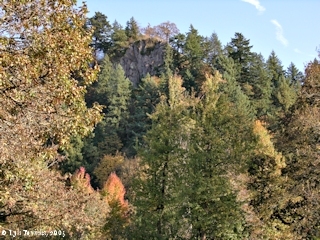 Broughton Bluff, the northwest tip of Chamberlain Hill, is a prominat feature rising above the Lewis and Clark State Recreation Area, located along the right bank of the Sandy River. The Oregon community of Troutdale lies to the east. Broughton Bluff was named after Lieutenant Broughton, a member of the Captain George Vancouver expedition, who, in 1792 travelled up the Columbia River to just east of the Sandy River. 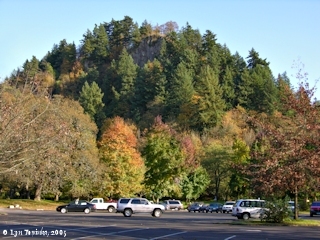 Broughton Bluff never had an official name until 1926 when the Girl Scouts of Portland requested the bluff to be named after Lieutenant Broughton. The U.S. Board of Geographic Names adopted the name "Broughton Bluff". 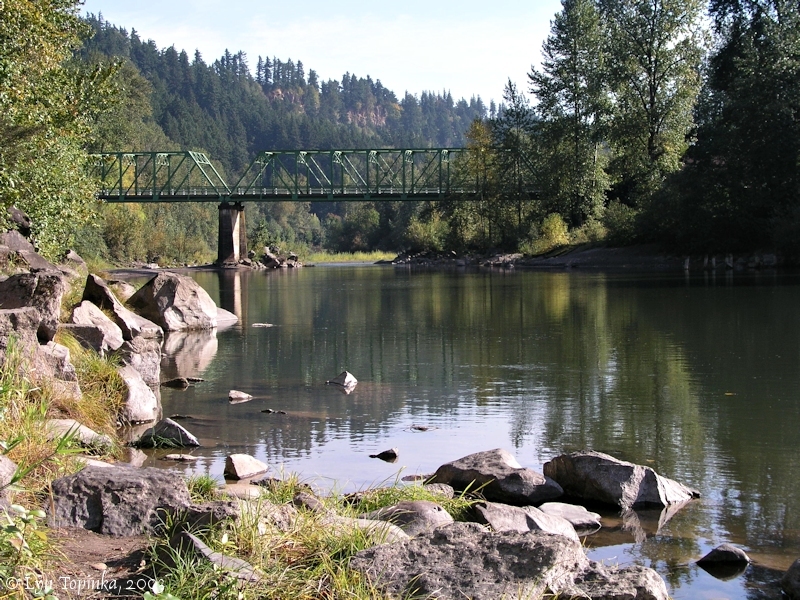 Good views of Broughton Bluff can be had from the Lewis and Clark State Recreation Area, located three miles up the Sandy River. Click image to enlarge Broughton Bluff and the Sandy River. 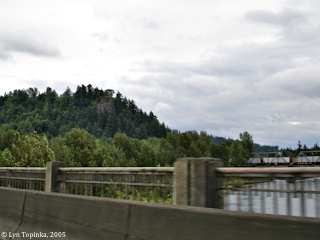 View taken from Interstate 84. Image taken May 15, 2005. 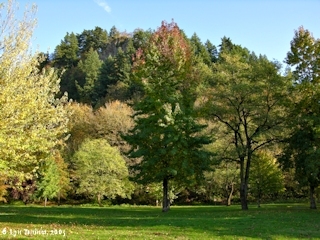 Click image to enlarge Fall colors, Broughton Bluff, Lewis and Clark State Recreation Area, Sandy River, Oregon. Image taken October 22, 2005. Click image to enlarge Fall colors, Broughton Bluff, Lewis and Clark State Recreation Area. Image taken October 22, 2005.